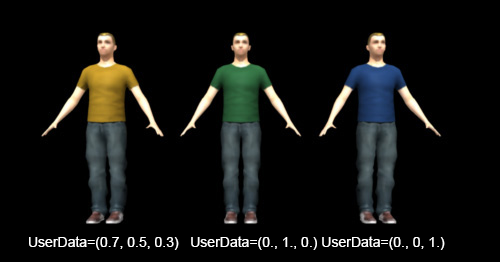 Arnold provides its own shader to read and return vector user data: aiUserDataVector. This data can be used to feed other shaders in Maya that have a vector or color input. Refer to the Shader Attributes page to know how to store vector user data in a mesh. To create a aiUserDataVector, the Arnold plugin (mota) must be loaded. Vector Attr Name Name of the vector user data attribute to read in the rendered mesh. The name of the user data should be the same than the one defined in the Shader Attributes of the Mesh.